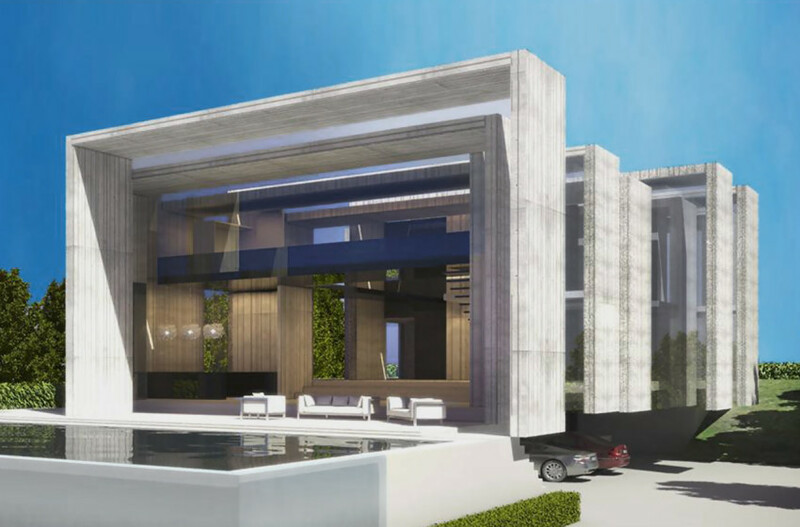 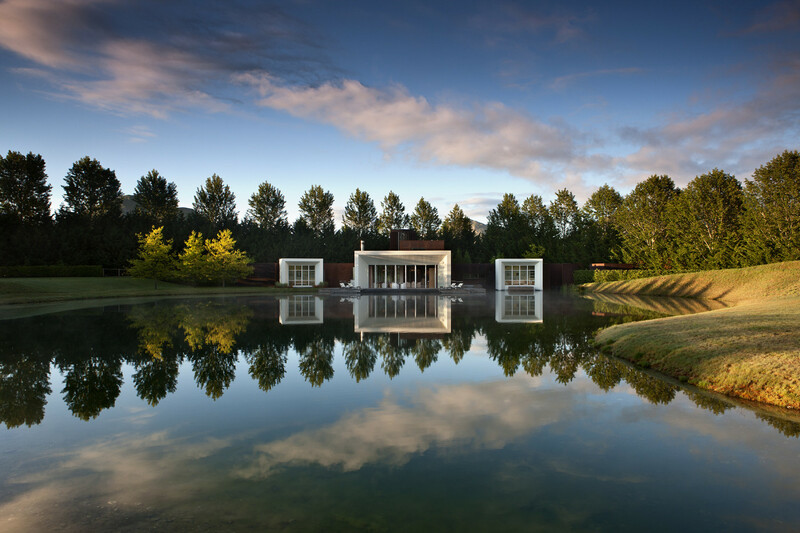 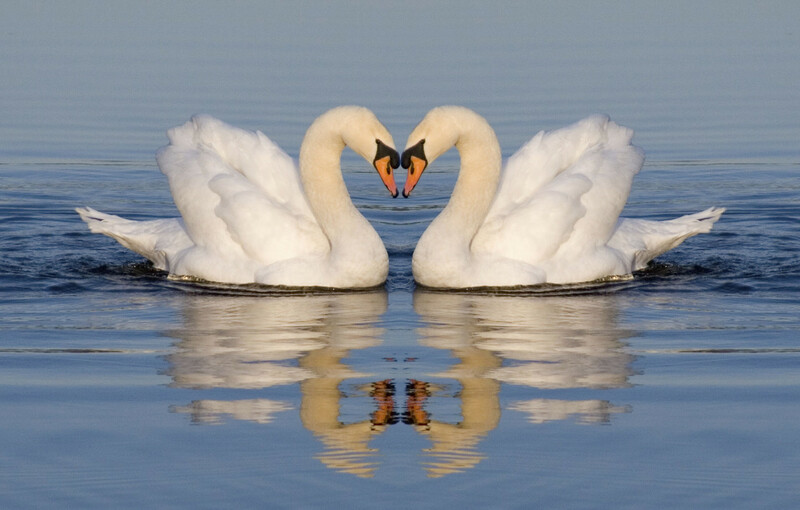 Discovered nestled around a courtyard at the end of a long unfolding, processional drive, Swan Lake is a private residence of 705m2 in floor area. 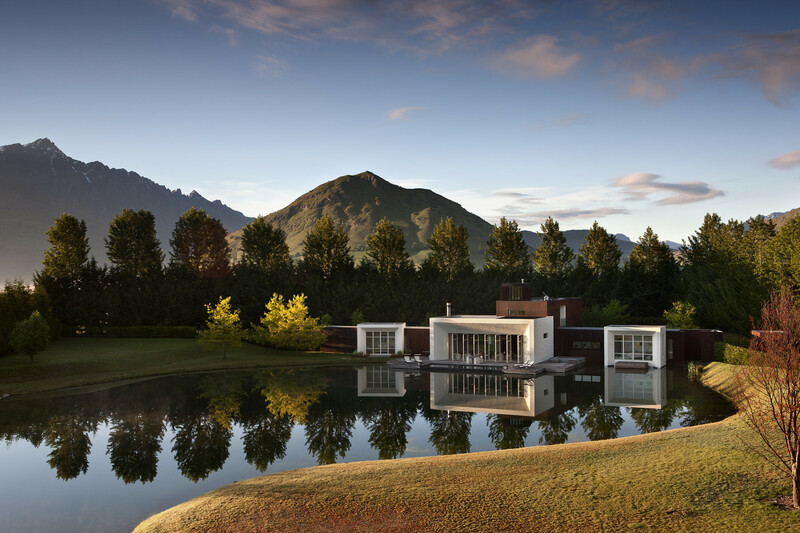 It is constructed in rusted core 10 steel, skim rendered brickwork with aluminium pivoting joinery. 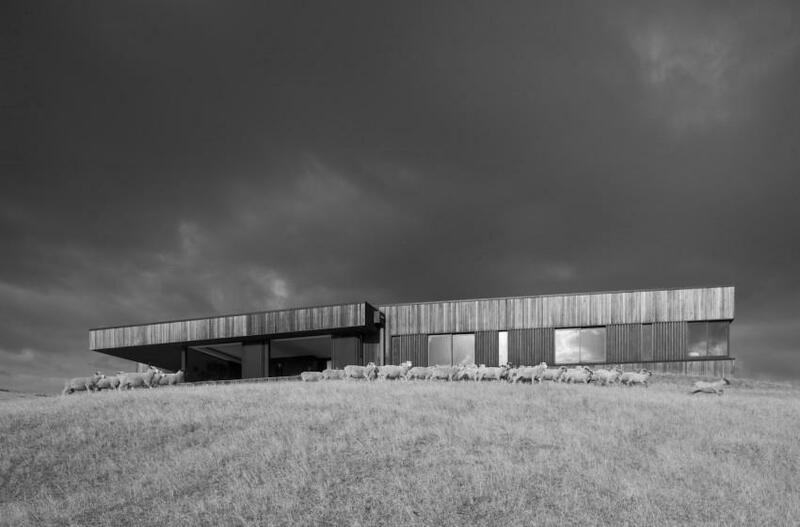 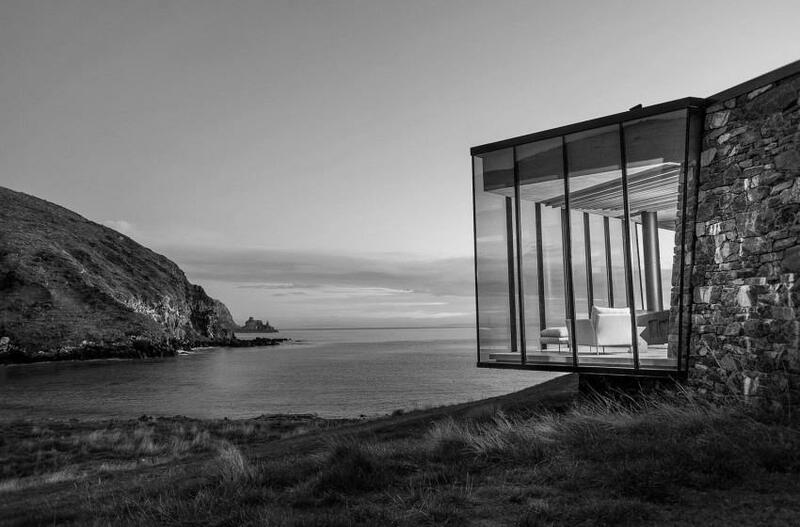 The concept for this home activated a barren site as a model of the alpine dream. 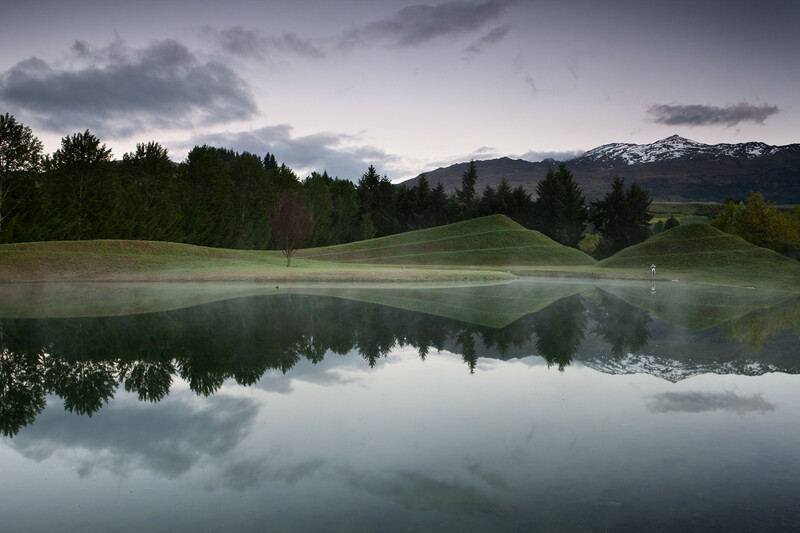 An artificial infinity edged reflection lake with sculptural hillocks behind, forms a foreground to the surrounding Wakatipu landscape. 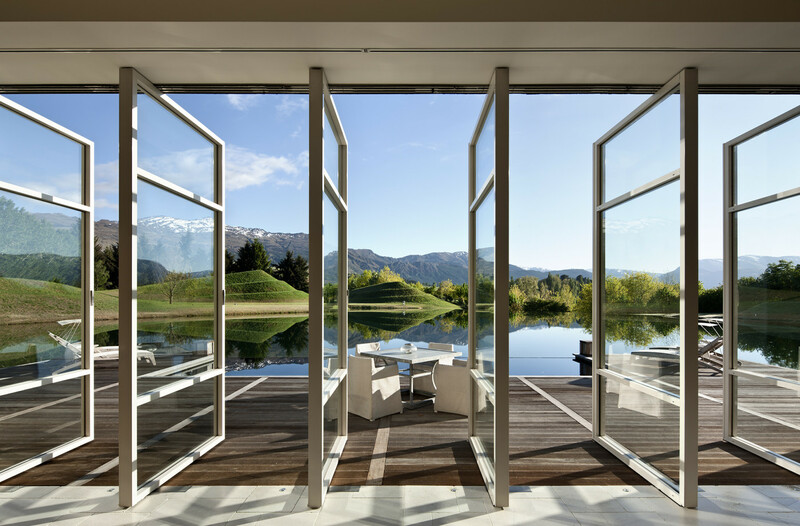 By doing this, Coronet Peak, which forms the primary view is brought as a framed double reflection into a dialogue with the property. 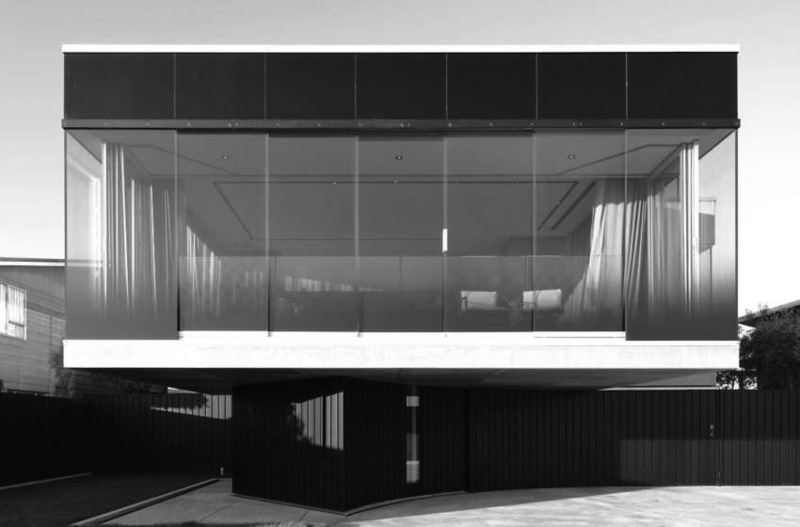 The whole composition forms a stage for living a full and dramatic life.